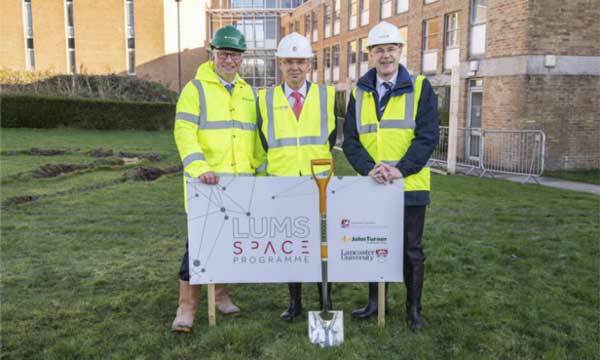 A ground-breaking ceremony has taken place to mark the beginning of construction works for a state-of-the-art extension for Lancaster University Management School (LUMS). The £18.8M contract has been awarded to North West contractor, John Turner Construction Group, who will complete the new five-storey building for the start of the 2020/21 academic year. The new building, which will cover a total of 5,667m², will offer cutting-edge facilities and significantly more space for students, staff and partners. Offering the space equivalent to around four tennis courts per floor, the building will boast three new lecture theatres, collaboration space, a new reception, multiple offices and an executive teaching suite.